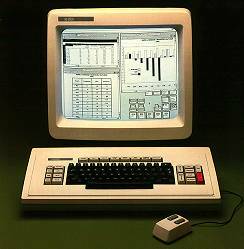 The 8010 Information System from Xerox was the first system to use a fully integrated desktop metaphor and application suite. Initially the term "Star" referred to the desktop and application software. 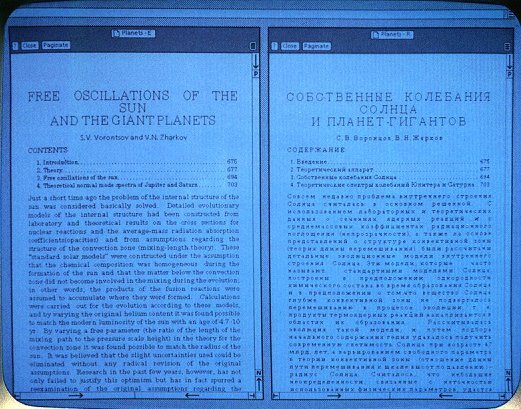 However the system as a whole became commonly known as "The Xerox Star." 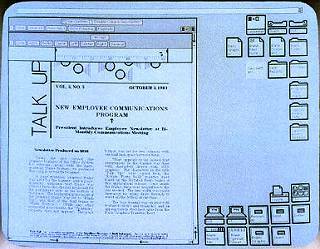 The software was later renamed to "ViewPoint", and later renamed again to "GlobalView." Development of the Star started in 1977 and used concepts from the Alto. Development started on early development machines, codenamed Dolphin and Dorado, that could also run the Alto software. The final result was completely new software written in Xerox's MESA programming environment rather than BCPL, which the Alto software was written in. (BCPL even used different microcode) The final 8010/Dandelion hardware was not backwards compatible with the Alto. Print servers for these systems were manufactured using the same base hardware and also ran Pilot OS. Print servers used a TTY terminal instead of a graphics display and did not include the video graphics hardware or Star desktop software. 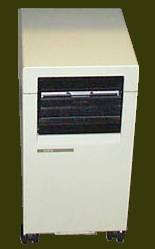 Xerox 1108 AI Workstations were also manufactured using the same base hardware but were packaged with Interlisp-D instead of the Star software. The display of the Star mimics a desk environment. Files, storage locations, and other functionality are represented as icons. At the time, graphical "icons" were a relatively new concept and term in the computer field. A few other interesting things to note: The border of the video image is covered by the monitor's shell, the idea being to make the desktop look less like a picture. Also, the original Star desktop does not have the "Waste Basket". This is added much later. 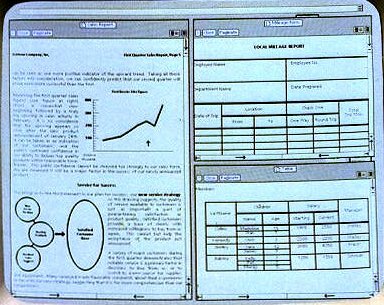 In the original Star software, application windows are tiled in such a way that do not overlap. Property windows and other dialogs, however may overlap. The idea is to make optimal use of limited screen space. Also, when the first window is opened it will usually open so as not to cover the icons on the right. 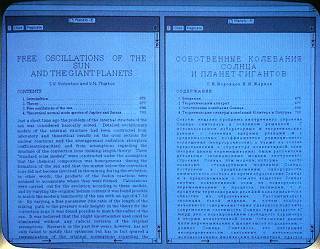 Of the application software included with the Star, the most important and visible is the document editor. 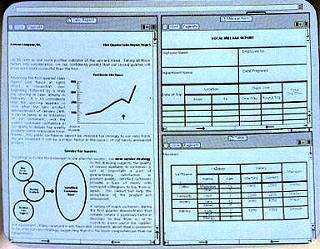 The document editor supports complex layouts with columns, tables, diagrams, and embedded images. Networking is a huge component of the Xerox Star. 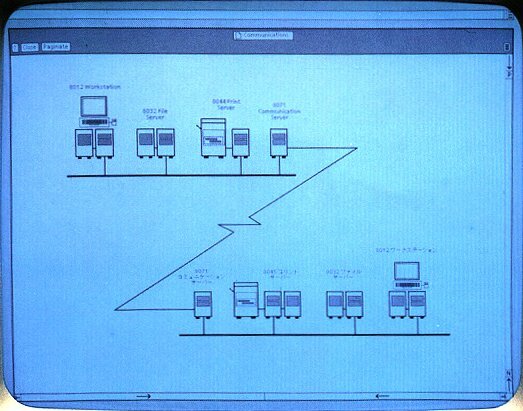 It includes ethernet networking hardware to communicate with other computers. The Star has the ability to connect to file servers, mail servers, and print servers. 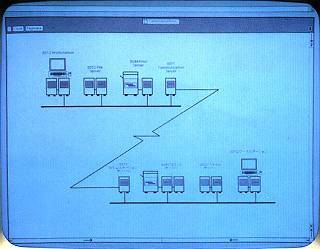 It also includes software to emulate TTY terminals and 3270 terminals over the network. Someone even managed to run a web server off of one of these once! All of the Star applications support multiple languages. Instead of using ASCII text, they are implemented using an early version of Unicode. Fonts for many different languages are included.